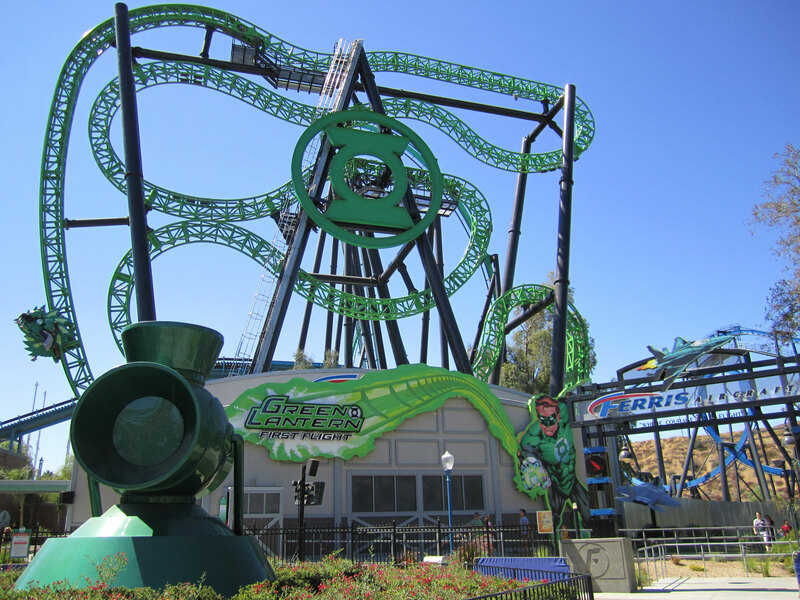 March 23, 2019 – Six Flags Magic Mountain confirmed the closure of the park’s Intamin ZacSpin coaster – Green Lantern: First Flight. The ride was the last of the Intamin Ball Coasters (as they’re also known) to be built when it opened in July, 2011. Before that there had been three other versions constructed in Europe, all of which are still operating. Unlike the two smaller original versions, Green Lantern: First Flight is a clone of Insane at Gröna Lund in Sweden, which has an extra section of track raising the height from 82 feet (25m0 to 105 feet (32m) for more intense spinning. Unlike its clone, this ZacSpin has a much rougher ride and has been plagued with problems which resulted in its shutdown months ago after it didn’t operate much of last year. Intamin Ball Coasters are the predecessor to S&S Worldwide’s 4-D Free Spin coasters, which are operating at many Six Flags parks. ZacSpin coasters feature individual cars with four riders seated back to back and use a stacked-layout to create rotation, whereas the S&S coasters use gravity to spin the balanced two-rider cars along the way. The park has yet to announce what will happen to Green Lantern: First Flight or what will replace it, but speculation is rife among enthusiasts. See what our members are saying about the ride closure and what they’re speculating will replace it in our Forum discussion. This entry was posted in News and tagged Ball Coaster, closure, First Flight, Green Lantern, Intamin, Magic Mountain, removal, Six Flags, zac spin. Bookmark the permalink.